Wonderful white flower clusters and foliage on arching stems. Good for erosion control, wildlife food, cover, & nesting. 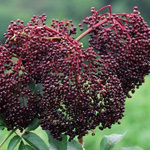 Seed: Harvest in July - August. Sow seed late fall or winter. 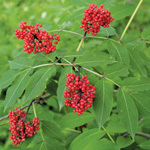 Q: I have a ninebark bush planted in full shade and has never bloomed. What can I do to encourage it to produce blooms? A: I'm not sure if you can do anything other than add a little fertilizer or compost. 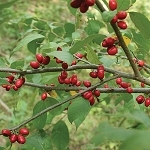 They perform better in sunnier areas, but should still be fine in shade. 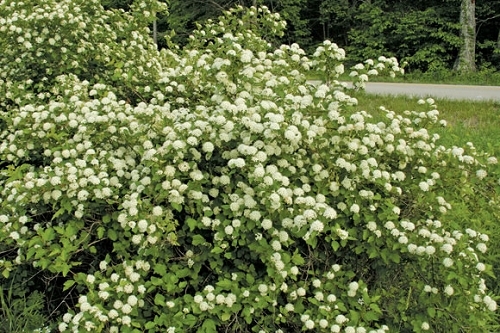 A brief search online for "ninebark doesn't bloom" led me to a discussion about this problem involving the 'Diablo' cultivar. The most helpful/encouraging info was that it can take 4 years before it matures enough to bloom. Maybe yours isn't quite old enough yet.